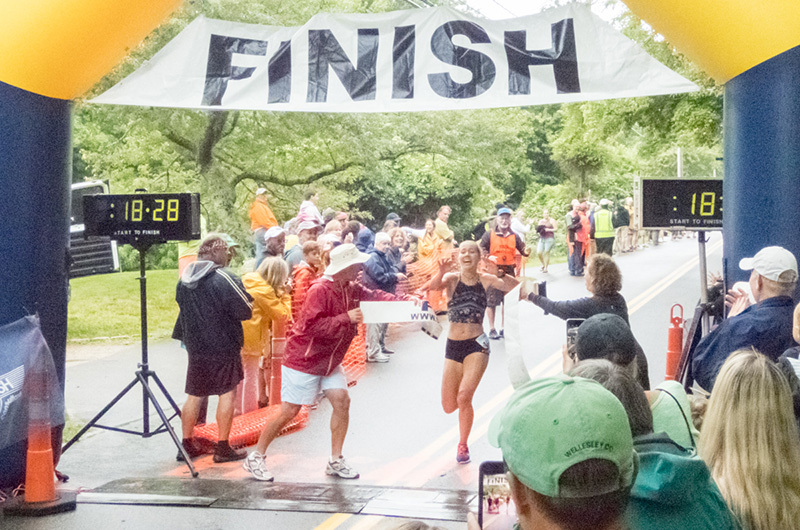 In August 2014, I wrote a piece in the Gazette about running the Chilmark Road Race for the 21st time. It was headlined Change is a Constant, Road Race is Too. Four years later, the theme is the same but not the title. This year marks the first time in 25 years that I will not run, or even walk, the Chilmark Road Race. The times they are changing, indeed. My head and heart complained bitterly at the idea of not running, but my complicated spine left me no choice. Alas, this is the summer of back pain, and even the beautiful views over the hills of Keith Farm aren’t enough to drag me along those strenuous, memory-filled five kilometers. But it has given me the impetus to look back at that previous article to see what changes my younger self was contemplating in 2014. Then it was about empty nests, conversations about illnesses instead of adventures, and my father’s successful open heart surgery. The constant? The group of women friends who have joined me summer after summer both in the race and on the beach. In 2018, that group still remains, and happily has grown to include new friendships. The menfolk are thankfully still with us too, and to be honest, we might be a bit more appreciative of them these days. And the kids? Very few will be at the race. None of mine will be. But we are all happy to get them on-Island whenever their own busy careers and beginning families allow. But the changes? My dad is gone. That’s one light that has flickered out this year. It feels like all too many have been flickering to extinguish over the past six months. I don’t know of anyone who will say that 2018 has been off to a great start. And yet amid all these changes, I find myself clinging more tightly to what remains the same. Our dreams and loves, both aging though still youthful, our passions, often rediscovered. And of course, the Chilmark Road Race. So don’t look for me riding the yellow school bus up to the (almost) starting line — the best part of the whole thing, if you ask me. Don’t look for me in the porta-potty line. I won’t be found milling around the 10-minute marker, reminiscing about former glories and pretending to stretch. And you won’t see me stumbling over the finish line. Instead, a lot less sweaty, I’ll be standing there cheering everyone else on. I’ll be rocking to the next generation of music coordinators from the Community Center. I’ll be yelling out the names of the finishers, whether I know them or not. I’ll give my husband, now a marathoner, a high five as he nonchalantly makes his fluffy-haired way to the finish. And by the time most everyone reads this, I’ll be already looking forward to that August Saturday morning in 2019 — when I’ll be back to my old running self, or not, but when all of us will be celebrating in our own ways the continuity of life, known as the Chilmark Road Race, from whatever side of the finish line we may be. Sue Guiney on Is It Fiction?